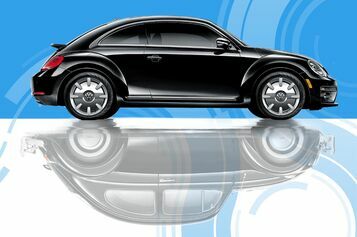 Since its inaugural introduction to the American automotive market back in the 1960s, the Volkswagen Beetle has grown to become an iconic vehicle, almost a standard for free-spirited, young, fun-loving drivers. It’s because of this that the Beetle is a longstanding testament to how simple cars can become such a big part of a greater culture, which is why it’s so surreal to think that its time is coming to an end. Volkswagen has just announced that 2019 will be the last production year for the Beetle, but it’s not going down without a fight. Still characterized by ultra-comfortable interior seating and an adrenaline-infused drive, all wrapped up in that quintessential exterior design, the 2019 Beetle will promise to keep the good times rolling long after it has left the market. Keep reading below to see what else it can do! 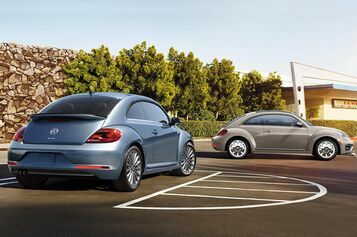 In celebration of its years of aesthetic excellence, the 2019 Beetle is available in two premium trims, the Final Edition SE and Final Edition SEL. The SE features VW-Car App-Connect, äferfach heritage-inspired glovebox, and rhombus-quilted seat design. 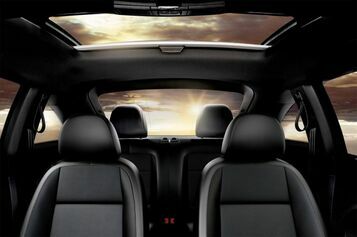 The top trim SEL is fitted with a 6.3" touchscreen navigation system, Fender® Premium Audio System and leather seating. Drawing on decades of inspired automotive design, the Beetle exhibits the same dedication to the creative spark that made it an industry icon. Take your Beetle’s reinvention of classic design to the next level with retro-modern gauges, available customizable interior lighting and Bi-Xenon headlights for contemporary technology and refinements complementing the undeniable Beetle style. Take advantage of the Beetle’s available exterior options for increased comfort and sportiness that extend beyond the cabin. A power tilting panoramic sunroof allows spirited, sun-drenched drives, 17" and 18" alloy wheels exhibit a confident, imposing stance, and a rear spoiler adds an extra degree of sleekness to the vehicle’s back.